It may be almost winter, but that doesn’t mean you can’t start thinking about the warm weather again. Imagine being able to enjoy those long days outside on your own deck. Think about how much fun it would be to host loved ones for summer celebrations. Those are both possibilities thanks to Ready Decks. With our local deck builders, we combine high-quality materials with an innovative, patent-pending building system. The result? You get the deck you’ve wanted for years without breaking the bank. 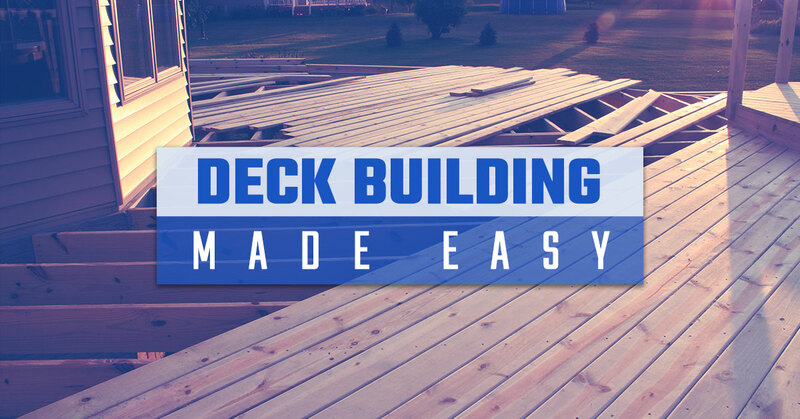 Keep reading as we explain how Ready Decks makes deck building a hassle-free process. The highest quality of materials – Some deck contractors save money by only using low-quality materials. That’s not how we do business, though. At Ready Decks, we opt for treated, premium-grade decking that’s hand-selected at the sawmill. This allows customers to not have to worry about large knots, sap lumber, or heart of pine boards. Stability and durability – Our deck installers incorporate a through-post design on anything larger than a 6×6. Not only does this increase the stability of the entire structure, but it adds strength and durability to the handrail. In addition, our team adds topcaps to the structure for an extra boost of stability. Why do we go above and beyond with precautionary measures? It’s simple – We want you and your family to be safe while enjoying the new deck. Value – As aforementioned, the combination of our high-quality materials and building system ensures you get the most bang for your buck. Keep in mind that our decks look better and last longer than basically any other outdoor product in the industry. With Ready Decks, you can expect to enjoy your deck for years to come. Integrity – It’s no question that the decking industry has skyrocketed over the last decade. Unfortunately, a large percentage of deck builders could care less about their customers. These contractors speed through their projects without saying much more than ‘hello’ to the homeowner. At Ready Decks, our deck contractors truly go out of their way for customers. We make it a point to walk you through the process and leave plenty of times for questions. Not to mention, we stand behind our product. Every deck we build is backed by a lifetime limited warranty, so you can rest easy that your deck will last. Ready Decks continues to pave the way for affordable decks. From pool decks to porches, see what we can do for you. Call now to ask about financing options.